With over 25 years in the freight industry, Quick Trip Express has the experience, the manpower and the capabilities to get your freight where it needs to go. 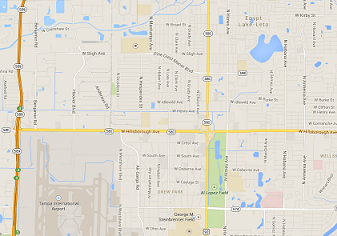 Located centrally in Tampa, FL, we're only 2 minutes away from the Air Cargo facility at Tampa International Airport. We are a full service custom Cartage Agent. We do not use in-house forwarders, and our 30,000 square foot warehouse has 24 hour digital video monitoring both inside and out. Our experience, location and security, not to mention our dedication to customer service, make Quick Trip Express your best choice for all of your ground freight needs. Â· P.O.D's faxed or emailed automatically each evening, breakdown of charges emailed the next day. Â· Verbal POD within 30 minutes of a Special Delivery. Â· Service 24 hrs per day, 7 day per week. Â· Trained, professional uniformed drivers. journey here at Quick Trip.